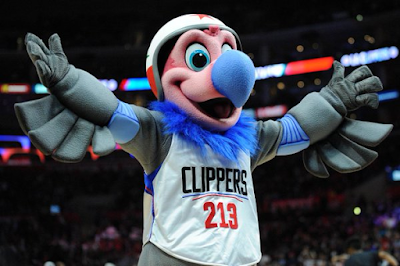 With 30 clubs and 26 mascots, Sport sets out to meet a brave lot known for dunking off trampolines, descending from rafters and being shot from cannons. 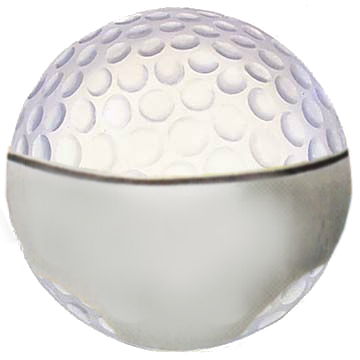 Sport's Opinion: "Harry has some mean-looking eyebrows. I don't think I want to go near him. But I do admire his navy blue hair. It looks like he styled it into a mohawk!" 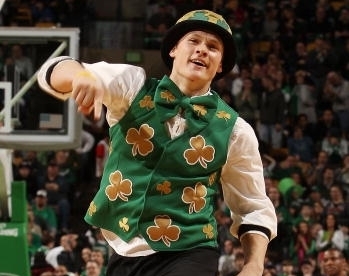 Sport's Opinion: "Lucky is by far the biggest leprechaun I've ever seen, which can only mean he's got a huge pot of gold somewhere. Just seeing him makes me want a bowl of Lucky Charms cereal." Sport's Opinion: "Hugo has been with the Hornets since their beginning, and he returned to the team in 2014. 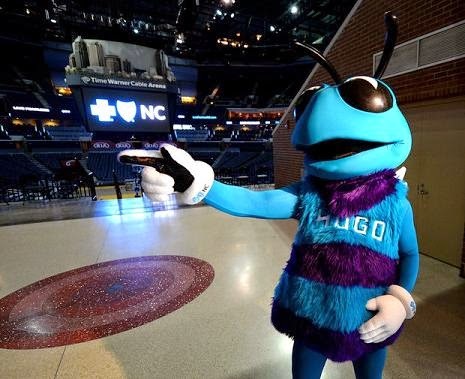 There may not be many teal and purple hornets, but Hugo is one of "bee" coolest mascots around!" 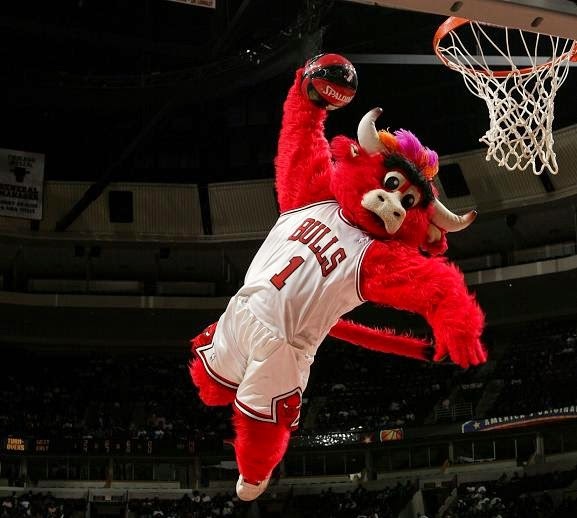 Sport's Opinion: "Benny was the NBA's first mascot. I know hair starts growing in weird places the older you get, but Benny needs to trim that unibrow of his." 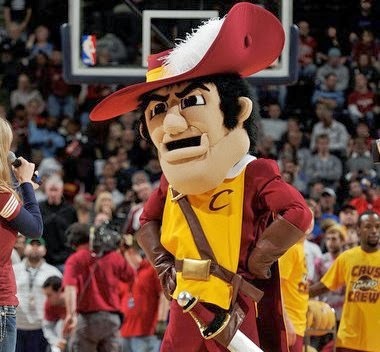 Sport's Opinion: "According to my history lesson, Cavaliers are supporters of King Charles I during England's Civil War. So CC must have been really good to have been knighted "Sir." He certainly looks like he means business!" 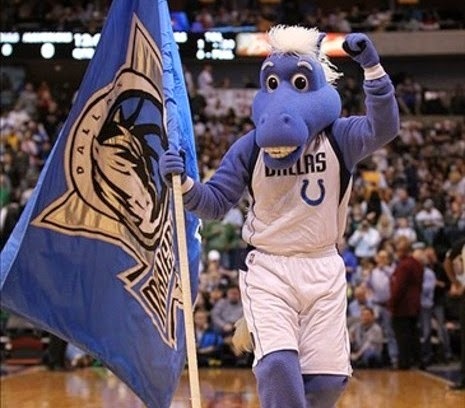 Sport's Opinion: "He may be blue, but there's nothing sad about Champ. He's always smiling, and I think that's because he was one of the horses from 'The Wizard of Oz.'" 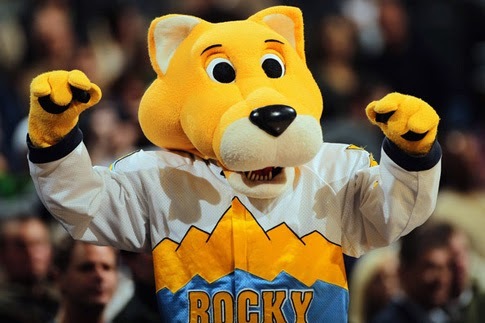 Sport's Opinion: "He's a very friendly mascot, and just because mountain lions don't have manes doesn't mean Rocky isn't intimidating. In fact, I bet he's a great boxer!" 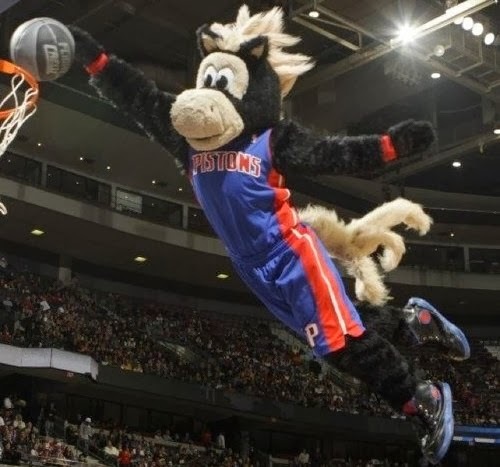 Sport's Opinion: "Anyone wondering why the Pistons have a horse as a mascot needs to realize Hooper is full of horsepower! I'd just like to see him get to race in the Kentucky Derby!" 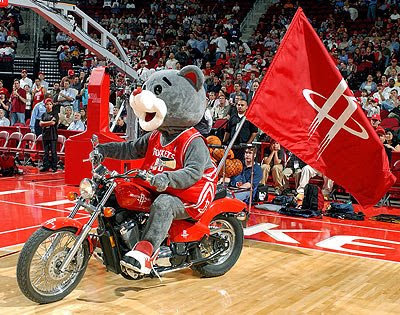 Sport's Opinion: "I'm not sure what a bear has to do with rockets, but he's very nice. Maybe he will be the first bear in space." Sport's Opinion: "He has real bad bed hair, and I'm not sure why the Pacers mascot is a cat, unless the team is allowing Boomer to set the pace for them." 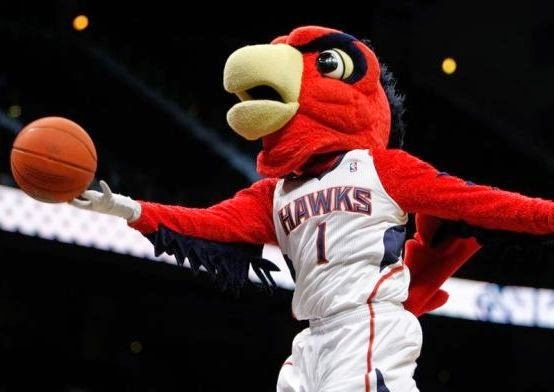 Sport's Opinion: "Birds usually don't wear shoes, but not only does Chuck have them, he wears old-school Chuck Taylors. He may dress and act like Evel Knievel, but Chuck looks like Trigger from Disney's "Robin Hood." 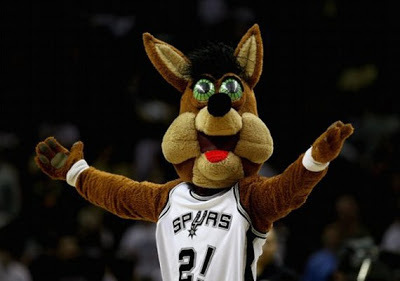 Sport's Opinion: "What a scary mascot! 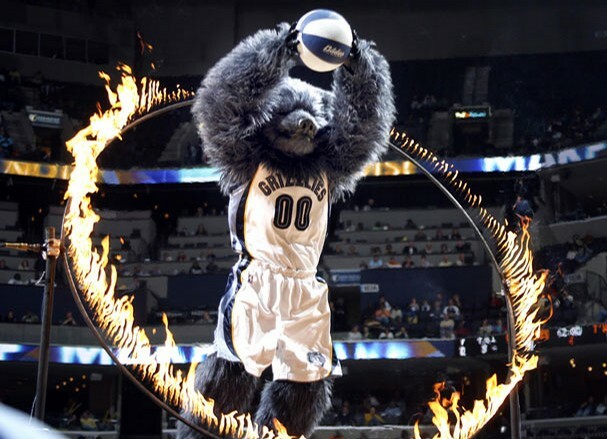 Grizz looks like someone who would be a bully to the Berenstain Bears." 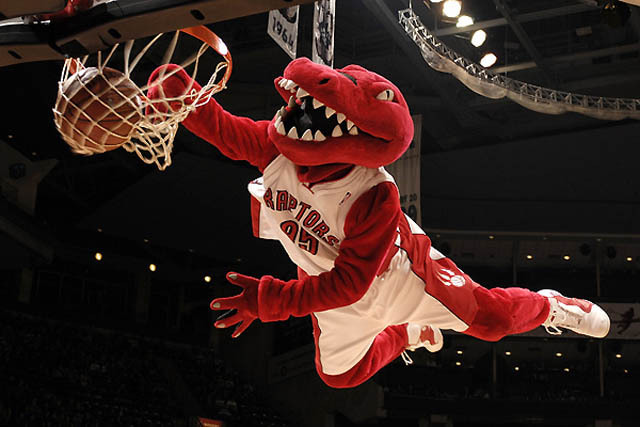 Sport's Opinion: "Spending a weekend at Burnie's would be pretty hot, since he's made of fire. 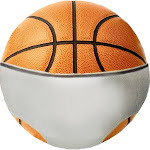 And his nose is a basketball, so I wonder what happens when he sneezes." Sport's Opinion: "I know deers are athletic. 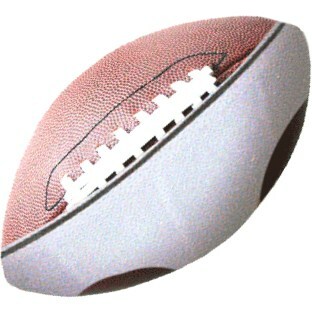 Bambi can run fast, and Bullwinkle even played football. 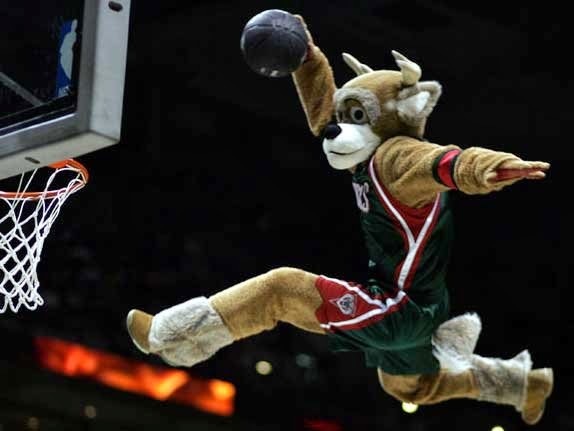 But Bango can outdo them all with his creative dunks. I think the only way to stop Bango would be to shine your headlights on him." 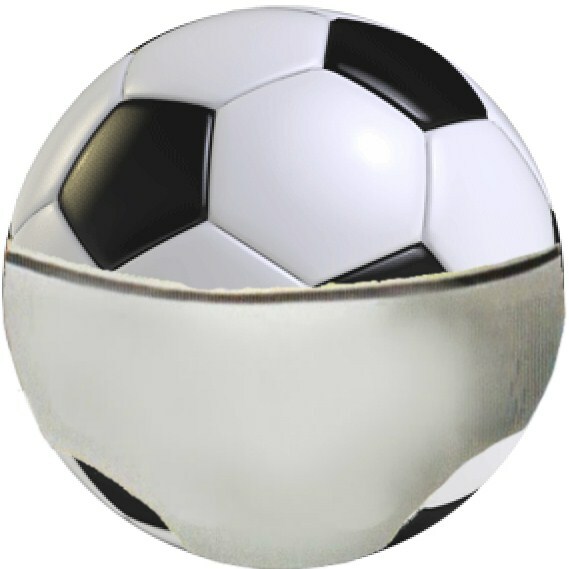 Sport's Opinion: "His howl is kind of scary, but I'm glad that he only eats Nestle Crunch candy bars." 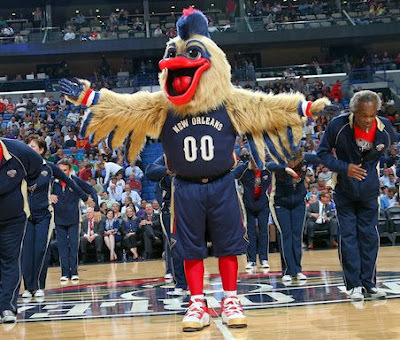 Sport's Opinion: "I'm not exactly sure why Pierre has a mohawk and is wearing eye shadow. 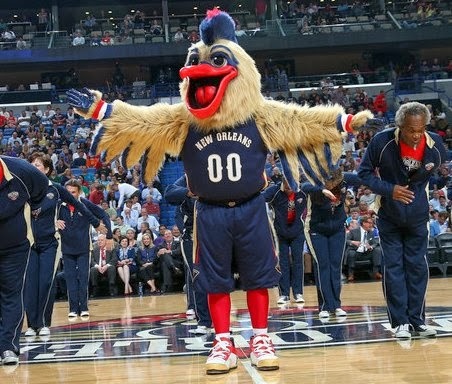 But this certainly helps to give Pierre the image of the creepiest mascot in the NBA!" 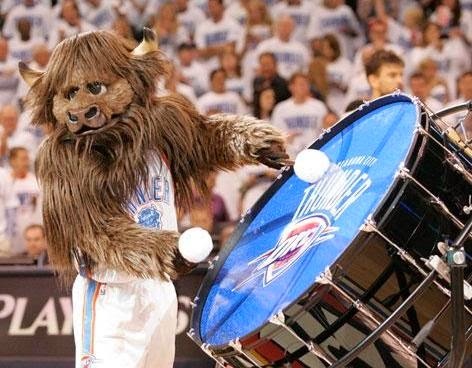 Sport's Opinion: "I know he's only one bison, but when Rumble bangs his drum, it sounds like there's a stampede coming. I'm completely terrified of his sharp horns!" 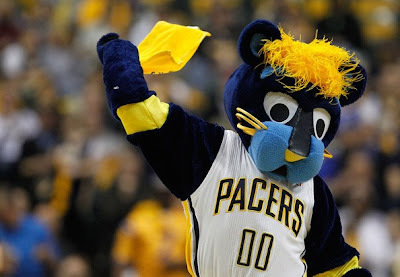 Sport's Opinion: "He is the only mascot I know who I enjoy watching blow his nose. And I'm not sure if they're brothers or not, but he's got to be related to Puff the Magic Dragon." Sport's Opinion: "Franklin may be blue, but he has nothing to be sad about. He's named after Benjamin Franklin, one of the Founding Fathers. 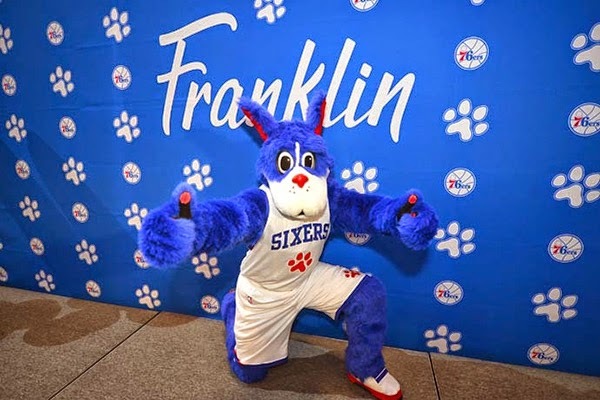 That makes Franklin the only NBA mascot named after an actual person." 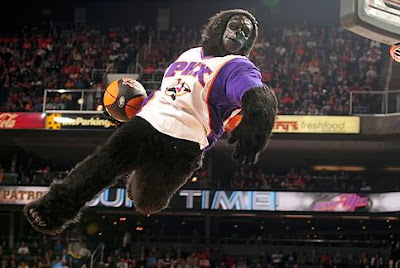 Sport's Opinion: "The Gorilla first started coming to Suns games because he was delivering a singing telegram. 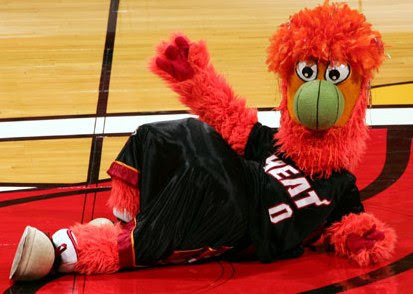 He must be a good singer for the Suns to ask him to be their mascot!" Sport's Opinion: "I'm not sure exactly what a trail cat is, but Blaze is probably happy he is a cat. With all the crazy dunks he does, he needs nine lives!" 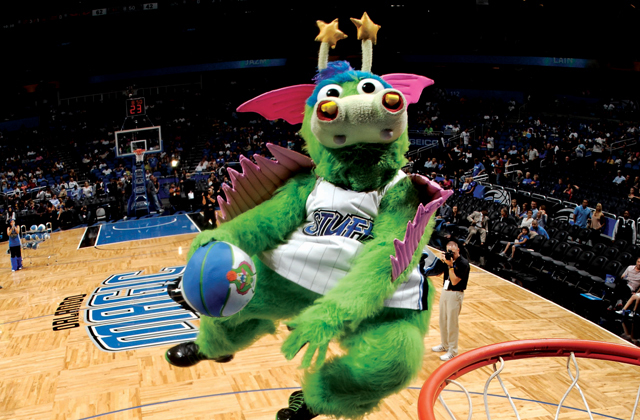 Sport's Opinion: "Slamson has the darkest eyes of any mascot around. 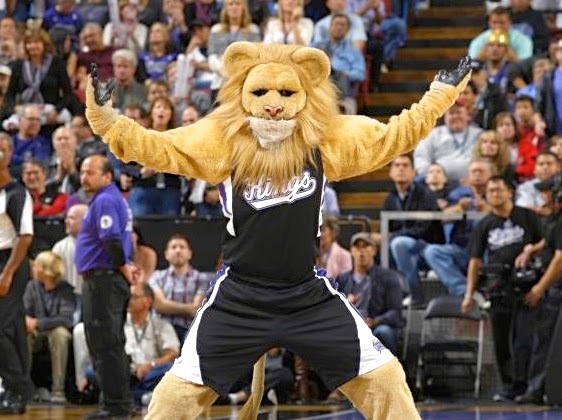 But he has to be intimidating, since he's both the king of the jungle and the gym. 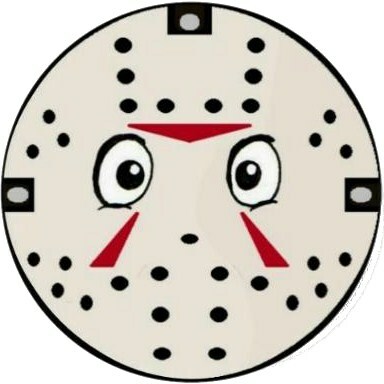 He just better watch out for anyone named Delilah." 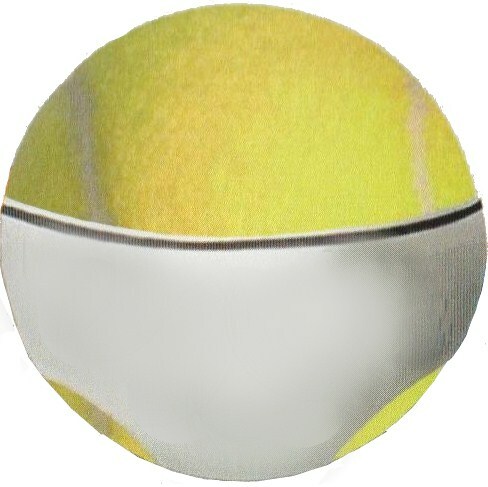 Sport's Opinion: "What big green eyes he has! You'd think since he's a coyote, that he would help Wile E. Coyote try to catch the Road Runner." 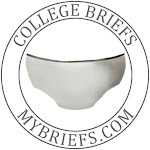 Sport's Opinion: "His teeth are very sharp and pointy, which makes me glad that dinosaurs don't eat briefs." Sport's Opinion: "He may be the hairiest bear I've ever seen. 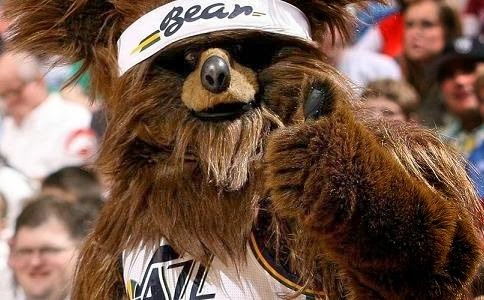 But Jazz Bear does a good job of combining Utah (a state with plenty of bears) and jazz (his cool sunglasses)." 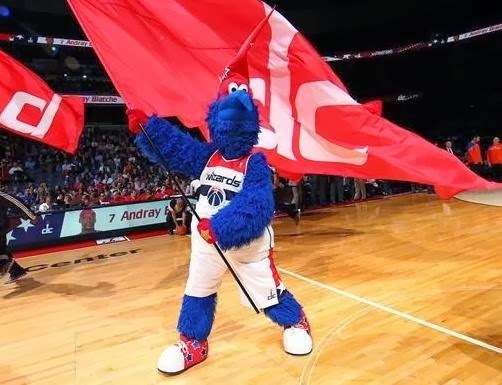 Sport's Opinion: "G-Wiz looks like a combination of Cookie Monster and Gonzo. He seems friendly enough, but since he's a wizard, I better be careful of his magic powers. 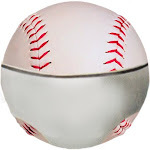 I wonder if his head is as pointy as his hat?"